Walk up and down the most famous street in Austin, Texas and you’ll understand why it’s called the Live Music Capital of the World®. 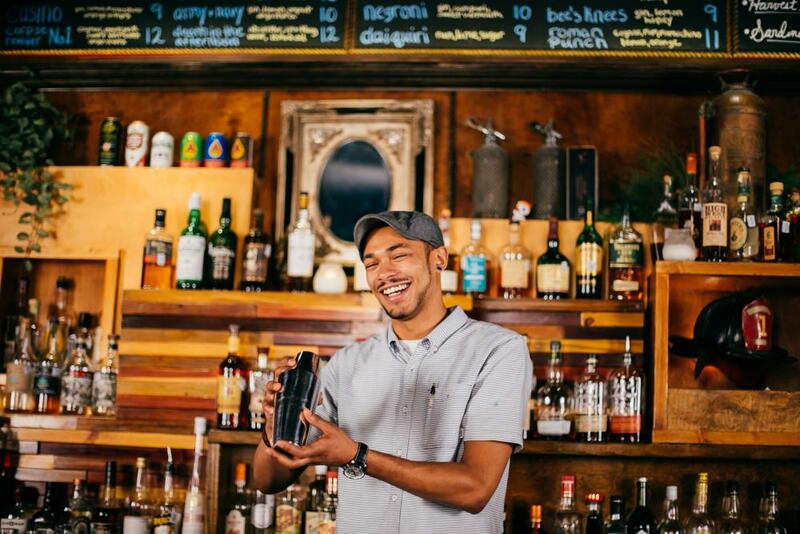 A destination for locals and tourists alike, find rollicking bars, cheap drinks and live music alongside fabulous restaurants, dark speakeasies, world-class hotels and more on historic Sixth Street. Spend a night at the Driskill Hotel, one of the most iconic hotels in Austin, and wake up with a benedict from 1886 Cafe & Bakery. If you have a sweet tooth any time of day, Voodoo Doughnut is a 24-hour sugar haven that will cater to it with zany concoctions like the cayenne and cinnamon dusted Mexican Hot Chocolate. Amidst the rowdy bar scene on lively Sixth Street lives Parkside, a step-above-the-rest gastropub. Grab an oyster platter half-off during happy hour or head to the Backspace (Parkside&apos;s neighboring sister restaurant) to curb your Italian craving with delicious Neapolitan-style pies in a cozy setting. Daruma Ramen: Slurping good times abound at this intimate ramen spot with both meat and veggie options. Chez Nous: Say “oui” to classic French fare and a well-priced prix fixe menu. Iron Cactus: Relax on the balcony overlooking Sixth Street and see why Zagat&apos;s named them one of the best patios in Austin. Firehouse Lounge & Hostel. Credit Maggie Svoboda. Sixth Street has a personality all its own. Closed to through traffic Thursday through Saturday nights, expect this area to become wall-to-wall people in search of great live music and cheap drinks. When the weather is nice, it’s time to find yourself a rooftop overlooking the city. Here’s where downtown shines. Maggie Mae’s, Handlebar, Blind Pig Pub and Speakeasy allow you to rise above the melee. Flamingo Cantina: Jam to good grooves at this irie den with cheap drinks. Midnight Cowboy: Make sure to get reservations for this underground cocktail speakeasy. Esther&apos;s Follies, credit Adam Schlender. 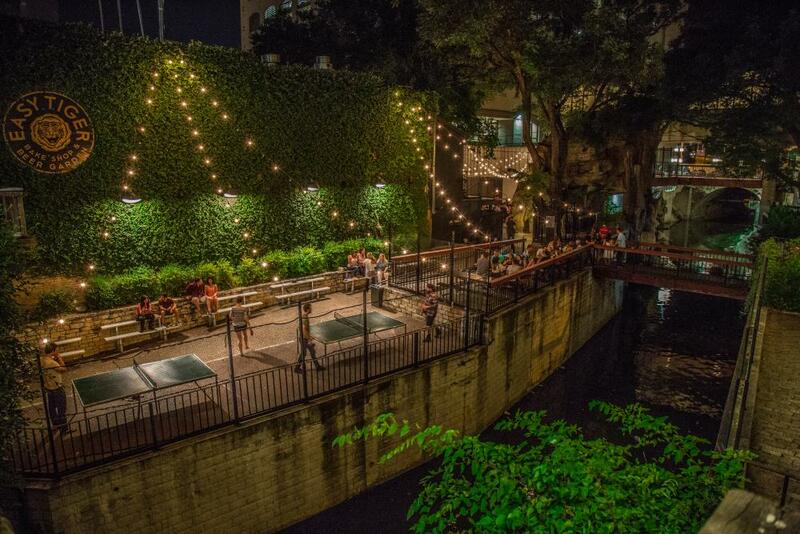 If you find yourself around downtown and looking for entertainment, Sixth Street has you covered with options for every interest. Esther’s Follies is high on the list of visitor attractions: a comedy and magic show with political overtones and a healthy dose of hilarity. Flamingo Cantina hosts reggae acts and world music, and its red-yellow-green decor marks them as lovers of Jamaica. The Parish is one of the best venues in Austin. They book great local and national acts, and are known in Austin for their sound system and loft-like atmosphere. Alamo Drafthouse Ritz: Take in dinner and a show (or sing-a-long) at the downtown location of Austin-based Alamo Drafthouse. Buffalo Billiards: You might have an eerie encounter at this pool hall whose purported ghost, Fred, has been blamed for many weird incidents over the years. Learn more about Downtown Austin hotels and book your stay today!